If you run a small business and aren’t using Twitter, you’re missing out on a great opportunity. But don’t just think you can sign up with an email account and sales leads will start rolling in. Like any other marketing tool, Twitter should be used properly by people trained in it. Your brand can suffer irreparable damage from a misguided or badly-timed tweet. On the other hand, Twitter can expose your company to brand-new audiences around the world. 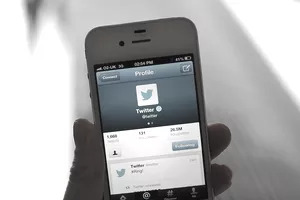 Here are a few reasons your brand may want to consider Twitter in its social media portfolio. Just being on Twitter shows you’re part of the conversation among savvy consumers who expect to be able to hold a dialogue with companies they patronize. Decide what kind of Twitter account you want to have: will you respond to customer complaints 24/7? Will you create a “voice” that engages with followers in a humorous or fun way? Or will your Twitter feed be more of a broadcasting platform, where you push out company messages and promote products? Your feed can even be a combination of these three versions. But once you decide on a style, try to stick with it if possible. Assuming your potential and existing customers are on Twitter, you can instantly let them know your news, whether it’s an announcement or a new product, a special deal, or an upcoming event they may be interested in. But be advised that you’ll get out of Twitter what you put into it. It’s not very engaging (or social) to just blast out one-way messages. If that’s your goal, you may want to explore Twitter’s advertising tools. Twitter lets you hear what other people are saying. Using Twitter Search, you can find out what people are saying about a particular topic, enabling you to keep your ear to the ground about your company and the competition. If you’re on Twitter, chances are your competitors are too, and are keeping tabs on you. That’s just one more reason to have a solid strategy behind your tweets. Twitter is a great networking tool. Being on Twitter will give you opportunities to interact with people you would never get the chance to talk to otherwise. And some of those people might be the very business contacts you’ve been seeking, people you want to start projects with, source product from or even hire. Twitter can provide your small business with another channel to inform and engage your current and potential customers – and every opportunity to do that is worth exploring. You will want to make sure, though, that you’re using Twitter properly to promote your business, so you don’t get seen as a spammer and damage your small business’s reputation. Be engaging, and have a personality that becomes a part of your overall brand.